— It launched rovers to Mars, sent robotic probes to the moon, comets and the asteroids, put astronomical observatories into orbit and deployed the first GPS satellites. 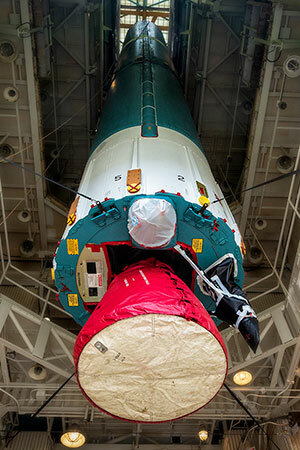 And now, after three decades of service, the Delta II rocket is entering history. "I am a little bit melancholy about this. Delta II holds a really special place in so many folks in the launch industry's hearts," said Tim Dunn, NASA's launch director for the Ice, Cloud and land Elevation Satellite-2 (ICESat-2) mission lifting off on the 155th and final Delta II rocket to fly since 1989. 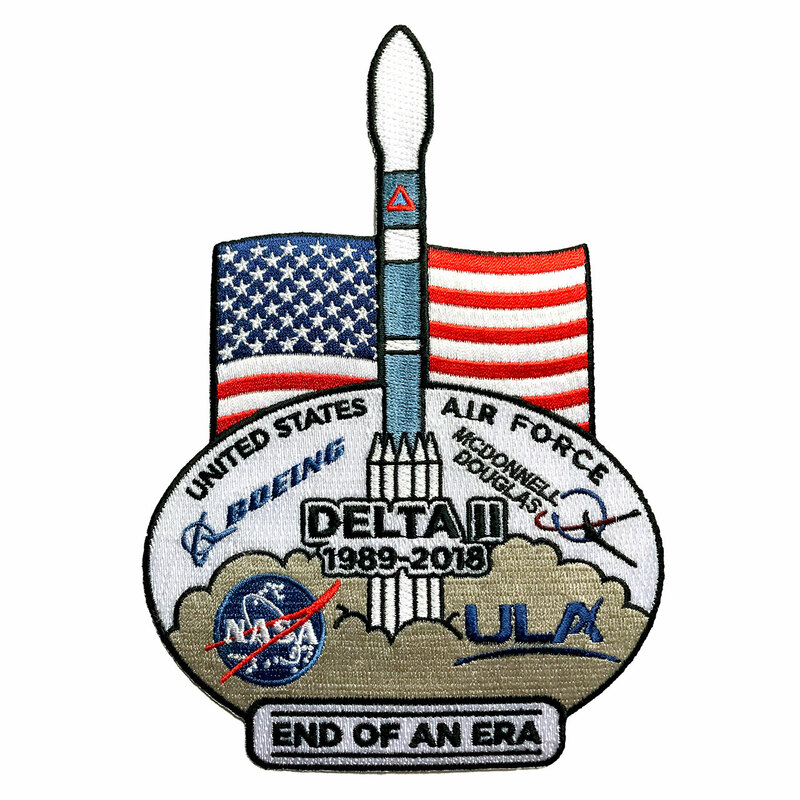 "It has been around for 30 years now and it really carried on the legacy of Delta I, which reaches all the way to May of 1960," said Dunn at a pre-launch briefing on Wednesday (Sept. 13). 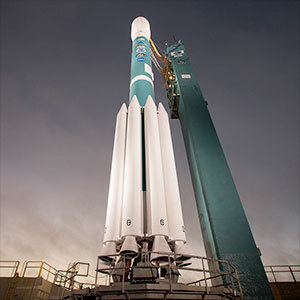 Scheduled for a predawn departure on Saturday (Sept. 15) from Space Launch Complex-2 (SLC-2) at Vandenberg Air Force Base in California, the final flight of the Delta II will not only mark an end for the venerable launch vehicle, but will also conclude the first pioneering era of U.S. rocketry. 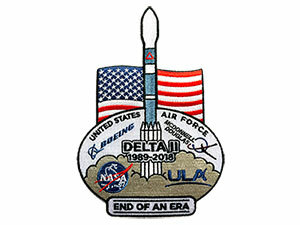 "Going back, this came out of the late 1950s, which was the world of Thor and trying to catch up with the Russians," said Jay Witzling, who retired in 2003 as Boeing's vice president for Delta II but whose history with the vehicle extends back to 1974 and the launch of the 100th Delta rocket. Born out of the original Delta — which itself was based on the U.S. Air Force's first operational ballistic missile, Thor — the Delta II's larger size and capability met the needs of its military, civilian and commercial customers. "The vehicle kept growing with respect to the payloads it needed to launch, but the basic fundamentals and the look of the rocket go way, way back. It is a legacy we continued up to this launch," Witzling said in an interview with collectSPACE. 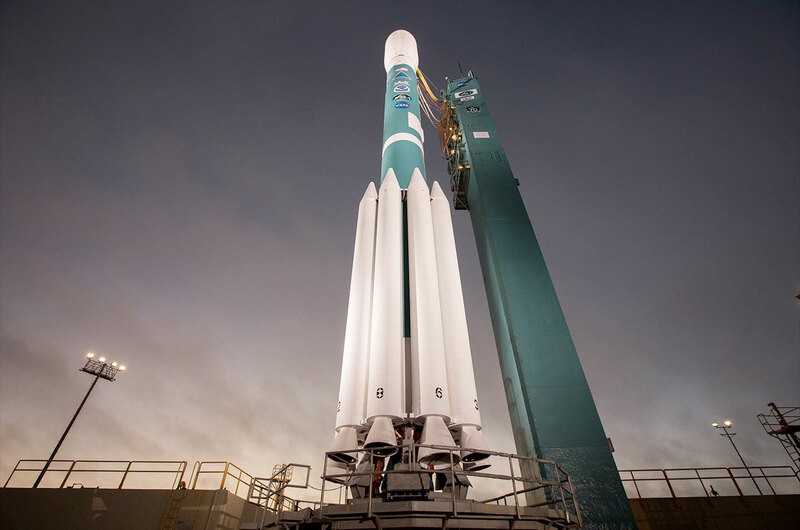 While the names "Delta" and "Atlas" will continue on with modern-era rockets, the Delta II is the last of the U.S. launch vehicles to still have a hardware lineage that can be directly traced back to the start of the Space Age. The Delta II's first stage engine, the RS-27(A), has its heritage in the H-1, which powered the main stages of the Apollo-era Saturn I and IB rockets. The AJ10-118K engine that powers the Delta II's second stage and the solid rocket boosters that fly attached to the first stage have their origins in the ballistic missile programs of the 1950s. "So it is definitely the end of a very long era," said Witzling. The Delta II first put itself on the map by enabling everyone else to do the same. 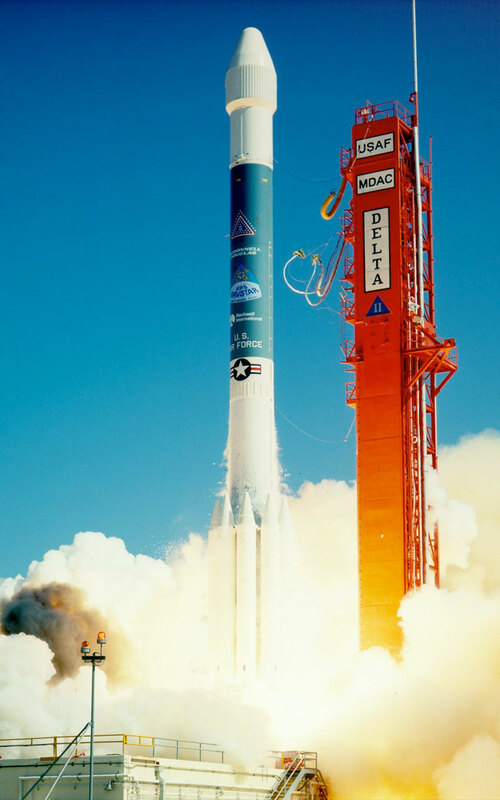 Entering service on Valentine's Day (Feb. 14) 1989, the maiden Delta II lifted off from Launch Complex 17 at the Cape Canaveral Air Force Station in Florida with the first operational GPS (Global Positioning System) satellite. It was the first of 48 GPS missions for the rocket. The launch vehicle also carried a series of commercial communications satellites, including deploying parts of the Iridium and Globalstar constellations into low Earth orbit. But the Delta II's most public role came in its service to space exploration. 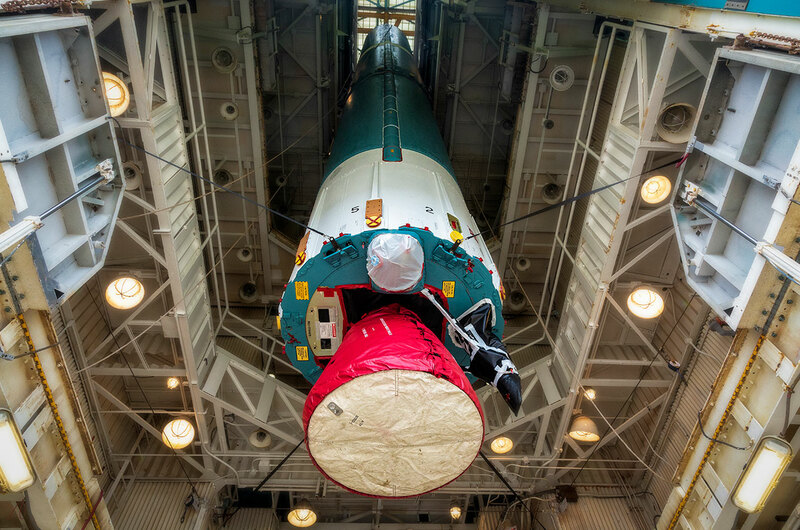 "NASA is celebrating its 60th year and of those 60 years, Delta II has been a prominent part of launching NASA payloads for 30," said Scott Messer, program manager for NASA programs at United Launch Alliance (ULA). "Of the 154 launches so far, 53 have been for NASA." The Delta II's first mission for NASA was the launch of the Cosmic Background Explorer (COBE) in November 1989. The satellite mapped the "afterglow" of the Big Bang, leading to a Nobel Prize in Physics for its two principal investigators. The rocket launched eight robotic explorers to Mars, including NASA's first rover, Pathfinder, in December 1996, and the twin Mars Exploration Rovers, Spirit and Opportunity, in June and July 2003, respectively. The Mars Global Surveyor (1996) and Mars Odyssey (2001) orbiters, as well as the Phoenix lander (2007) were also highlights among the Delta II's missions to the Red Planet. Delta II also launched NASA's Gravity Recovery and Interior Laboratory (GRAIL) probes to the moon in 2011, marking the rocket's final launch from Florida; the MESSENGER mission to orbit the planet Mercury earlier that same year; and six asteroid and comet-focused spacecraft, including the Near Earth Asteroid Rendezvous (NEAR) probe in 1996, the Stardust comet sample return mission in 1999, and Dawn, which after leaving Earth in 2007 became the first spacecraft to visit two celestial bodies, the asteroids Vesta and Ceres. Other NASA Delta II launches of historical note included the 2001 Genesis probe that returned samples of the solar wind; the Spitzer Space Telescope in 2003; and the Kepler space observatory to find Earth-size extrasolar planets in 2009. The Delta II's final launch, NASA's ICESat-2, is designed to track changes in land and sea ice with unparalleled detail. The Delta II experienced only one complete failure in its 30-year history. On Jan. 17, 1997, a Delta II carrying a GPS satellite exploded 13 seconds into flight, raining debris down on the Florida launch complex and some nearby parked cars. "The remarkable part of it was how all of the different agencies came together. The Air Force, NASA, the contractors, range safety — everyone came together to understand what the issue was and determine what we needed to do going forward," said Kathy McLaughlin, ULA's Delta II site manager, who has been with the program since its start 30 years ago. "It really was an incredible effort and we were able to launch again within three months of that." If all goes as planned, the ICESat-2 mission will mark Delta II's 100th consecutive success, an unprecedented record among launch vehicles. "We used to put stars on the vehicle to represent the number of successful launches we had. Several years ago we took those stars off, but for this last launch we decided to put those stars back on," Messer revealed on Wednesday. "In fact, we got 200 stars and we sent them out to all of the people who had touched the rockets — to retirees, to folks from our customer base and the Air Force range folks, and let them sign those stars." "So essentially we have about 800 people who have signed their name to the vehicle," he said.